Swimming has a unique part of the season which is referred to as “taper”. Unlike many other sports, swimmers work very hard for many weeks throughout the season, just so that during the final phases of the season (like before championship meets) the swimmers can reach their max potential both physically and mentally. The goal of every swimmer is to hit their peak at the end of the season in the most important meets. For many club swimmers that only swim moderate workouts three or four days a week, a taper is rarely used. High school swimming is a different story, with swimmers working out intensely six days each week. Here is a brief explanation of the season and the taper. High School swimming (both boys and girls) is a 12 week season, which includes practicing every afternoon after school, Saturday mornings, and four mornings a week before school. High School swimmers not only swim a lot of yards, they also do weight-training, cardio-training, and resistance-training. This training continues all season long until each individual’s taper season begins. At this point the swimmer stops coming to morning practice, stops lifting, and starts reducing their swim yardage totals in the pool every day. The taper can begin anywhere from 7 days to 21 days before their final conference, district, or state meet. The length of the taper varies on several factors (girls vs. boys, length of meet, ect). Though tapering doesn’t work with drastic results for 100% of the team each year, it is a process that allows the swimmer to feel completely strong and full of energy for that final meet. Most kids see time drops of a second or more on their 50, a couple of seconds on their 100’s, and we have seen 10-20 second time drops in 500 yard races! 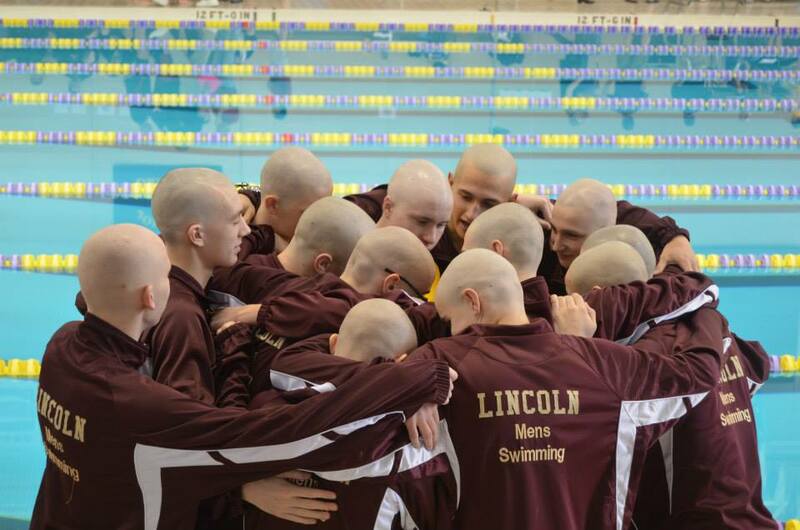 Boys will shave their heads for their final meet, and both boys and girls wear a team-provided “fast suit” which is much tighter than the normal meet suit. Athletes can only get the full benefits of taper by working hard each and every day, from the beginning of season to the end. Once taper begins, the team may swim fewer yards every day, but we continue to work just as hard and concentrate on the yards they do swim. This allows the body to recover from the earlier season strain and become focused on peak performance. We also work on overcoming the mental stress of swimming through visualizations and meet preparation steps prior to the big meet. We hope that all of our swimmers will continue training hard, so that when their time comes to “taper” for a meet, it is successful!